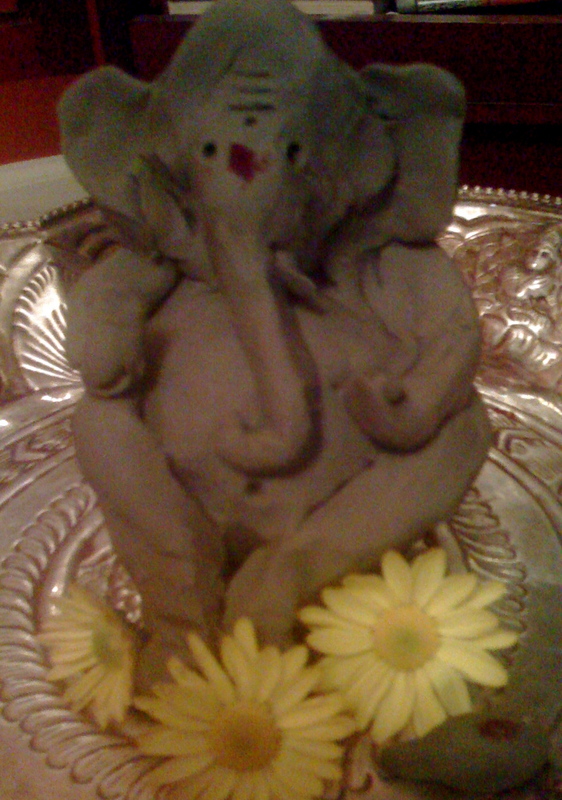 This is my 20 minute Ganesha from good ol’ modelling clay that I made last night. Did the abridged version of the pooja by 7 am, read the story, placed the akshata on everyone and ran. This year Ganesha has been put on a fruit diet. Bananas and coconut. Munchkin placed a few grapes too. In the evening, the meal will be complete. Undrallu, kozhakattais, payasam and a regular meal of daal, veggie, pulusu and chutney. That’s what’s planned at least. ps: ..and oh, Ive been snapping pictures of Ganeshas all around the place and the collection’s growing. The variety’s mind-boggling. cute one 🙂 I dont think I cud have managed to make one out of clay. yeh its nice collecting little idols of Ganesha. 20mins! thats all it took you, wow! 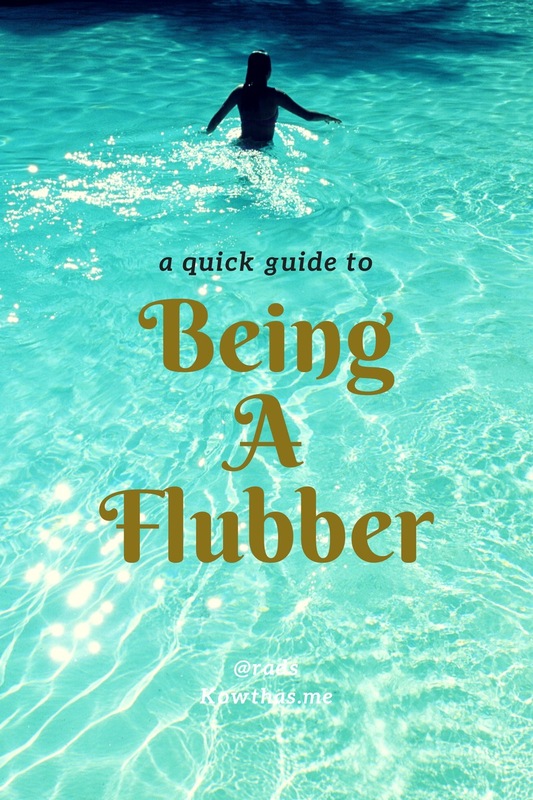 I did not have a plan of making anything, but after surfing thru various blogs I am tempted. Mee intiki vacheyyana ? Praveen: hehe, you should check my last year’s. Ganesha was dieting majorly, the poor man was stick thin! Rock hard kozhakatais and dal chaval. Some years ago I stayed as a paying guest at a place whose landlady had innumerable Ganapatis….Ganapatis were everywhere, in all sizes and forms. You MADE that? whoa! I ate some kheer, vegetarian food and washed my hair. Yeah, that was about it. But it’s what’s in your heart that matters. Right? RIGHT? Right. Wow u made it wel…. Mottamodataga Vinayaka Chaviti Shubhakankshalu! Mee mrittika ganapati bhale muchchataga unnadu! Mee chetullo chaala kala undi sumi! Bhesh! Bhesh! Nenu oka matu try chesa, India lo undaga, adi Vinayakudu takkuva pamuputta ekkava laga tayarayyindi. Deeniki pooja cheddam anukunte, maa amma danni choosi, ee roju Nagula Chaviti kadu nanna, Vinayaka Chaviti ani mudduga hechcharinchindi. Evito! Wow, that’s great work! You wouldn’t have had the heart to imemrse him, would you? The pleasure is all mine! I’m glad I could entertain you! CW: I don’t immerse them actually. : I immerse the turmeric one. This one adds to the collection am growing every year. Size 1 waist aa? Acho, If you see last year’s wonder what you’d say! Can’t believe that you actually made that one by yourself. The Idol looks lovely! Priya: Yesterday I went to a ganpati puja and I realized the maharshtrians actually have a mold for making them. Will post the picture. Hey, this ganpati is soooo cute! really & seems u r too swift to make one! I wonder if I could do it tht fat – 20 mins! whoa! I’ve been looking to make one myself using some modelling clay. Really wanted to try my hand at this! wud be great if you guide me with some! Dunno where to begin! Anubha: Well, I took time too, to get to this point, though I do it just once a year. I believe it will help if you break the shapes down to do-able geometric pieces.